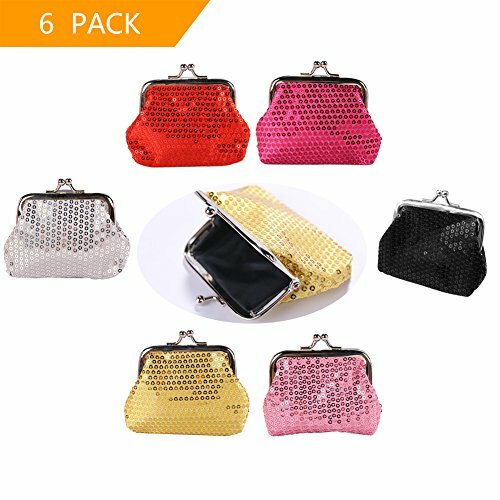 ❤Package includes: 6 pcs, each sequin purse is 4\" x 3.15\"
❤Coin purse set are perfet to hold your coins, candies, jewelries, keys and so on. ❤Great birthday / party/ Easter gift for your kids, lover, friends, family, colleague etc. Little girls love these purses!